What has caused Cloud9’s drop in performance over the past two weekends? 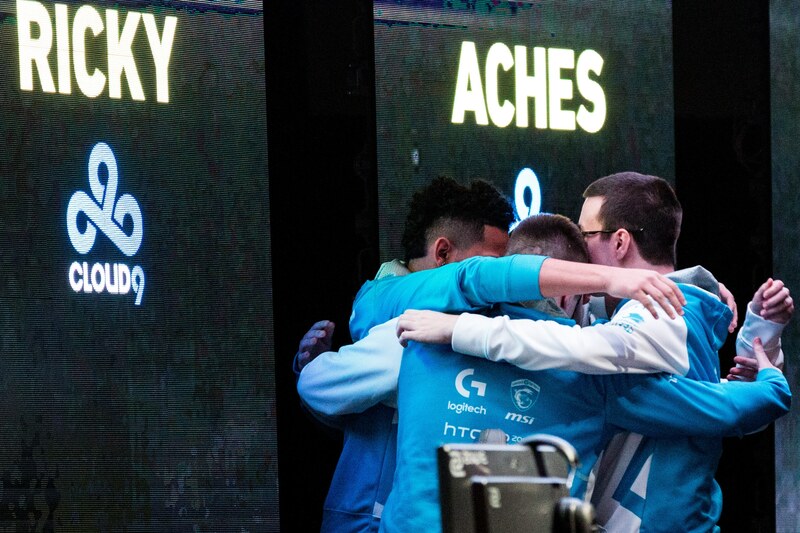 In the wake of their second place finish at CWL Las Vegas in December, many people, including myself, set high expectations for Cloud9 entering the rest of the Call of Duty®: Infinite Warfare season. After consecutive top-20 finishes over the past two weekends, however, several people are left asking: what’s wrong with Cloud9? Following Evil Geniuses’ reverse sweep of Enigma6 earlier today, the lineup consisting of Patrick “ACHES” Price, Andres “Lacefield” Lacefield, Adam “Assault” Garcia and Richard “Ricky” Stacy will retain their top-nine ranking in the pro point standings, despite their poor performances as of late. Still, back-to-back top-20 finishes at CWL Atlanta and CWL Paris have left the Call of Duty community completely perplexed in terms of where the Cloud9 from Vegas has gone. One of the most obvious potential reasons why Cloud9 has struggled at the past two events could be the shift in the current Call of Duty meta. Cloud9 was successful in Vegas when the OSA and Synaptic (aka Skinny Bot) combat rig were playable, but they have struggled since those two items were removed from competitive play. In my eyes, however, I don’t think this can be solely to blame. Call of Duty professionals are some of the most skilled esports players in the world, in terms of having to adjust and adapt to changes. No other esport has a one-year lifespan before switching to a different title; even though it’s still Call of Duty, the same game is only played for a maximum of 12 months. Thus, professional Call of Duty players are constantly playing different versions of a game, each with unique aspects, such as weapons, maps, movement systems and more. With that in mind, it doesn’t make sense to strictly blame C9’s struggles on a change in the meta; if these players can adapt to different Call of Duty titles on a yearly basis and still compete at the top level, then they should certainly be able to adjust to in-game tweaks throughout that game’s lifespan. While some players might be better with some weapons, in this case the OSA, that gun’s removal from competitive play can’t solely be the reason for a team to go from the grand finals at one event to consecutive top-20 performances. Aside from these in-game changes, I personally believe that Cloud9 is just not playing well as a team. Some people might say that this is an extremely vague point, but when a team goes 1-8 in best-of-five series over two weekends, that’s generally an indication of poor play. It’s difficult for me to condone blaming a gun or a specialist character for a team’s inability to win more than one series in two events. When we dissect the numbers even further, we can see that one of the main reasons for Cloud9’s recent struggles is their inability to win Search and Destroy maps. In Vegas, Search and Destroy was C9’s “bread and butter”; C9 was able to progress so far in that tournament because they were able to clutch up in game fives, aside from their series against Team Kaliber and Rise Nation (in the grand finals). The old adage of “Search and Destroy wins championships” was proven to be right once again, but in this case, Rise Nation was just the better Search and Destroy team in Vegas. In Atlanta, Cloud9 had an overall map count of 5-12. Of those five map victories, only one was in Search and Destroy. Cloud9 was swept by Elevate and Team 3G, lost 3-1 to Luminosity Gaming – only winning game one Retaliation Hardpoint – then they swept Imperial, but lost 3-1 to The Gosu Crew Blue, against whom they also only won the first map. Thus, Cloud9 won three Hardpoints, one Search and Destroy and one Uplink en route to a top-20 placing in Atlanta. Looking at the numbers even more closely, C9 ended their time at the Georgia World Congress Center with a 1-4 record in Search and Destroy. Unfortunately for Cloud9, this trend continued this weekend at the CWL Paris Open. Cloud9 did not win a single series at this event, going 0-4 with a map count of 4-12. Continuing on the aforementioned topic, Cloud9 did not win a single Search and Destroy map at this event either. C9’s four map victories included two Hardpoint wins and two Uplink victories. Cloud9 shockingly lost 3-1 against Fnatic to begin their tournament run, only winning the Uplink. This was followed by a 3-2 series loss against Elevate, in which Cloud9 won games three and four, but lost both SnDs. Then, C9 ended pool play with a 0-3 record after Enigma6 defeated them 3-1, with Cloud9 winning the initial Hardpoint in that series. Finally, the loss that in my opinion shows how out-of-form Cloud9 is currently, was when SetToDestroyX swept C9 to eliminate them from Paris. With that loss to StDx, Cloud9’s time in Paris came to a close with a 0-5 record in Search and Destroy, bringing their combined SnD record in Atlanta and Paris to an abysmal total of 1-9; scarily similar to their overall series record for the last two events. For a team who played so well in Search and Destroy at Vegas, this has to be considered the main reason why they have seen a drop in performance over the past two weeks. Cloud9 did not play up to their potential over the past two events; there’s no other way to say that. But, in my opinion, this team has the right combination of veteran leadership and talent to bounce back from these subpar performances. If anything, ACHES and company should use these past two events as a wake-up call to motivate them even more heading into CWL Dallas next month. Most Cloud9 fans will probably be worried about this team moving forward, however, I don’t think there is any reason why they still won’t qualify for the CWL come April. Barring a crazy losers bracket run by Evil Geniuses to win the event tomorrow, Cloud9 should still be in seventh place on the pro point standings. So, as long as they keep grinding scrims and GameBattles matches, fix their Search and Destroy issues and earn some good placings in the online 2K tournaments, ACHES and company should definitely be able to bounce back to their Vegas form over the next few weeks.